Instruments Taught: Violin (beginning through advanced), Viola (beginning through advanced), Cello (beginning through advanced), Piano (beginning and intermediate), Mandolin (beginning through intermediate). Musical influences: Classically trained, but also influenced by alternative, folk, rock, gypsy music. Artists such as Apocolyptica, Rasputina, Alice in Chains. Education: Royal School of Music in England, Trinity College of Music in England. Books Used: Strictly Strings, Suzuki, Alfred’s Basic Piano Library, Piano Adventures (Faber). Key teaching concepts: Encouraging every individual’s differences, encouraging creativity. Also music reading and proper technique. Belinda’s 20+ years of international teaching experience on a variety of instruments make her a unique and highly qualified instructor for students of all ages and skill levels that wish to learn any style of music on the various instruments that she teaches. As a violinist, Belinda’s qualifications include exams to the highest level through The Royal Schools of Music in England. She also has completed exams in music theory and piano through Trinity College of Music in England. After spending 5 years in England working for the local council teaching small violin classes in several primary schools as well as private lessons, Belinda recently moved back to the Bay Area with her daughter, and has been teaching at Music Time Academy since 2010. 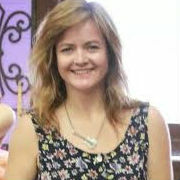 Having performed and toured with groups of different musical styles in the past, including the Brighton Youth Orchestra (Classical) and Zora and the Tatsmiths (punky, jazzy gypsy folk music, all original), Belinda currently can be seen performing Irish fiddle music alongside fellow Music Time Academy Instructor, Timothy Garry.